A slide from Curtis Spencer, IMS Worldwide. ﻿ I attended a well-done Columbus2020 Investor Report this morning, coming away with a handful of take aways, including the slide above. The slide depicts some unnamed source's demographics predicting where 60% of the next 100 million Americans are expected to live. 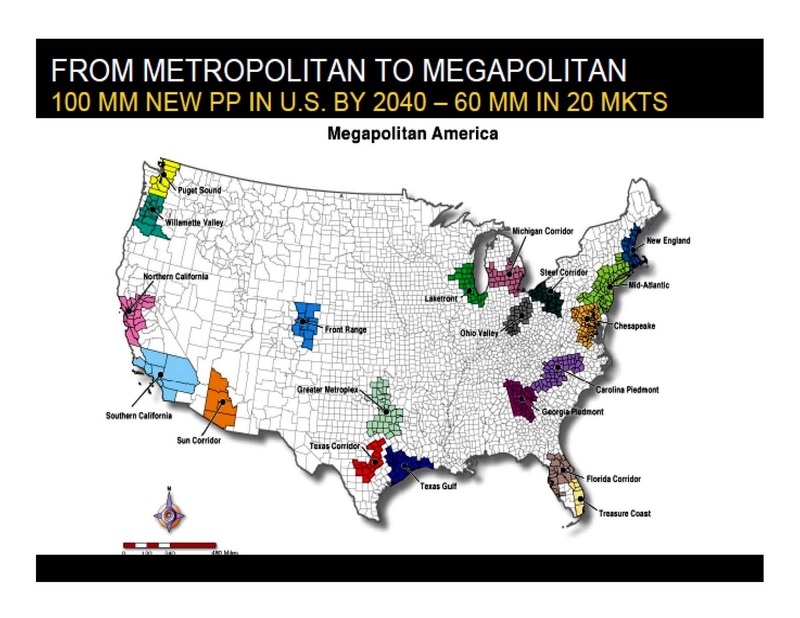 The slide is Kotkinesque with the 100 million Americans piece and predictions of growth in the Midwest. It is not Kotkin's slide though. He shared with me that his research shows less concentration in the West Coast and Northeast than this one. If it's this one or one Kotkin would have prepared and they prove right, this is good news for Ohio with two growth regions covering a good percentage of the state. Enjoy my fellow Buckeyes.